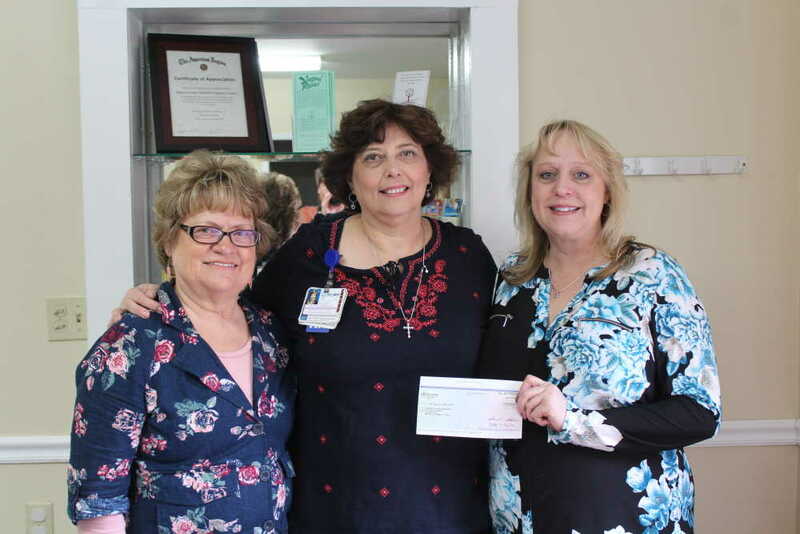 Lisa Melchiorre, center, Chief operating officer/chief nursing officer of St. Luke’s Elmore, presents Connie Powers, left, and Kimberly Middleton, right, Executive director of ECDVC, with a check for $2,000 to go towards the remodel of the council’s new safe house. On March 22, the Elmore County Domestic Violence Council received a check for $2,000 to go towards the remodel of Elmore County’s first safe house for victims of domestic violence. The check was presented to them by St. Luke’s Elmore’s CNO Lisa Melchiorre on behalf of the employees of St. Lukes.